I’m not going to lie-traveling all around the UK, Ireland, and France over the past month has taken quite the toll on my waistline! I mean, who can blame me for eating all that magnificent food as we explored new places-trying new foods is one of my favorite parts of traveling. Now that we’re back at our new home in England it’s time to get back on track and back to cooking my healthy favorites. Roasted Peppers are my absolute favorite go-to veggie side dish so I made these easy oven roasted bell peppers over the weekend and was surprised I hadn’t shared them here before. When I’m trying to eat healthier after getting off track I try to fill my kitchen with my very favorite fruits and veggies. 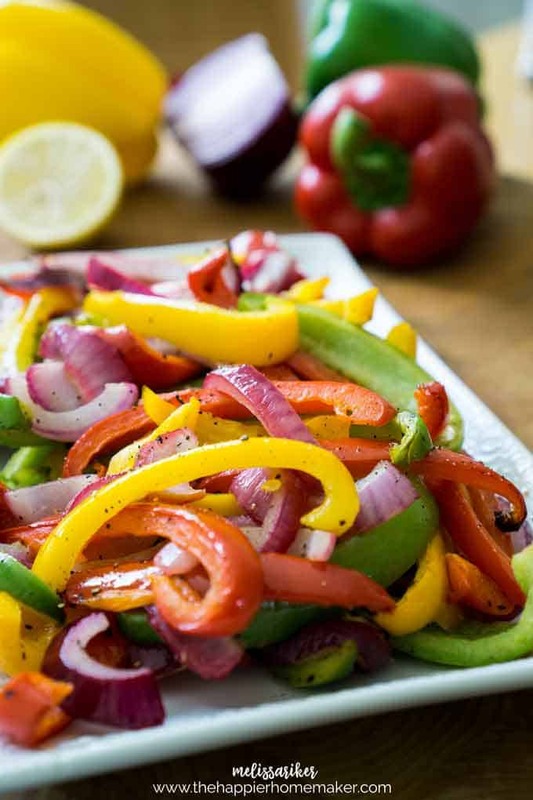 Peppers are definitely in my top 5, especially red and yellow peppers-I love the sweetness! 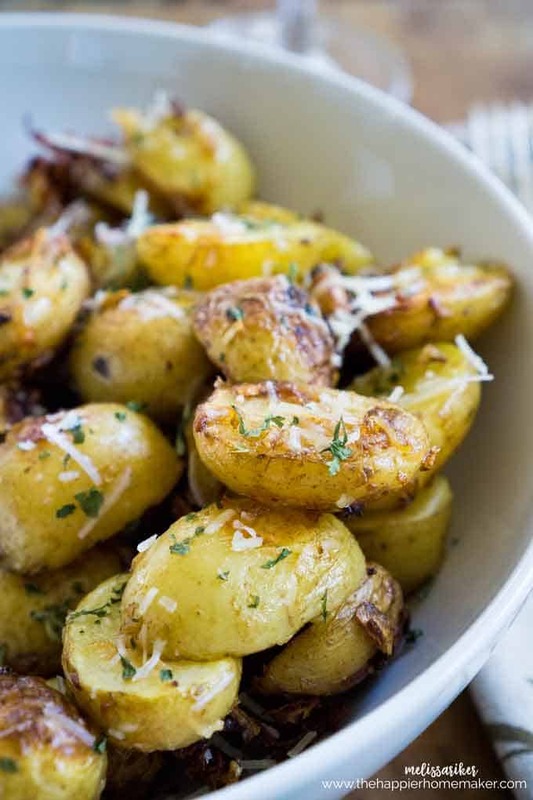 This recipe combines them with a little extra virgin olive oil and simple flavors of onion and lemon then roasts it all to perfection! I love that you can pop these in the oven while you work on the main dish too-the easier the better in my opinion! 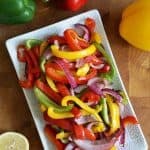 This easy recipe for oven roasted bell peppers is a healthy and simple side dish that takes only 20 minutes to get on the table! 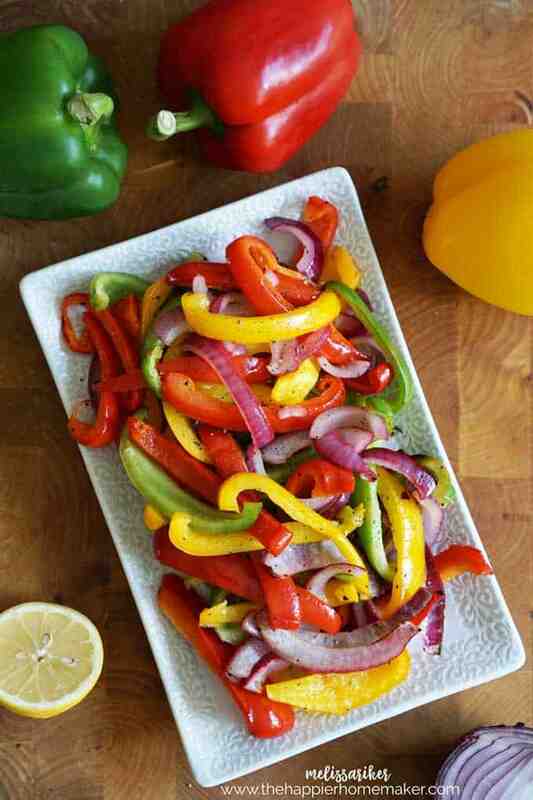 Slice peppers and onion into thin strips and place in a medium bowl. Add olive oil and salt and pepper and use your hands to mix, being sure each piece of the veggies are thoroughly coated. 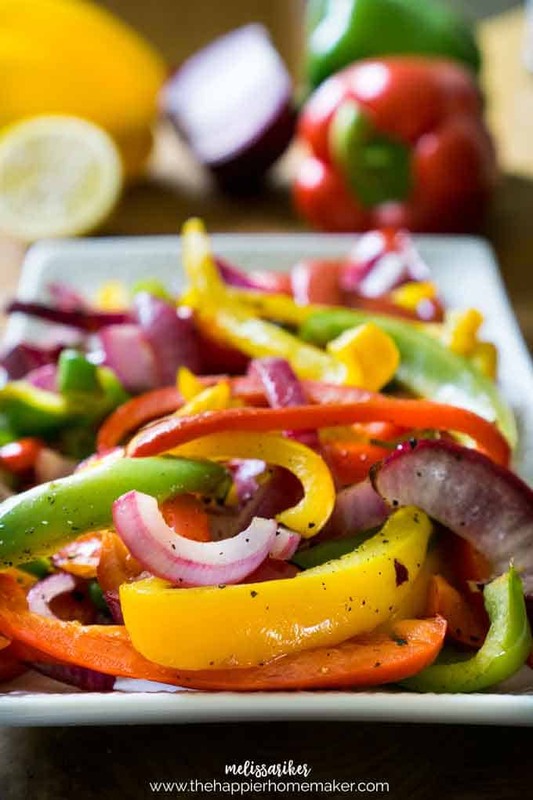 Squeeze lemon over vegetables before popping in the oven. Bake for 20 minutes or until edges start to turn black. Serve immediately. picking up some tomorrow from our farmer’s market and making these! Your recipe says serve immediately. But can they be eaten at room temp., perhaps the next day? Hi! How many servings does this recipe provide? after I do this can I put them up in the freezer to use at later date? 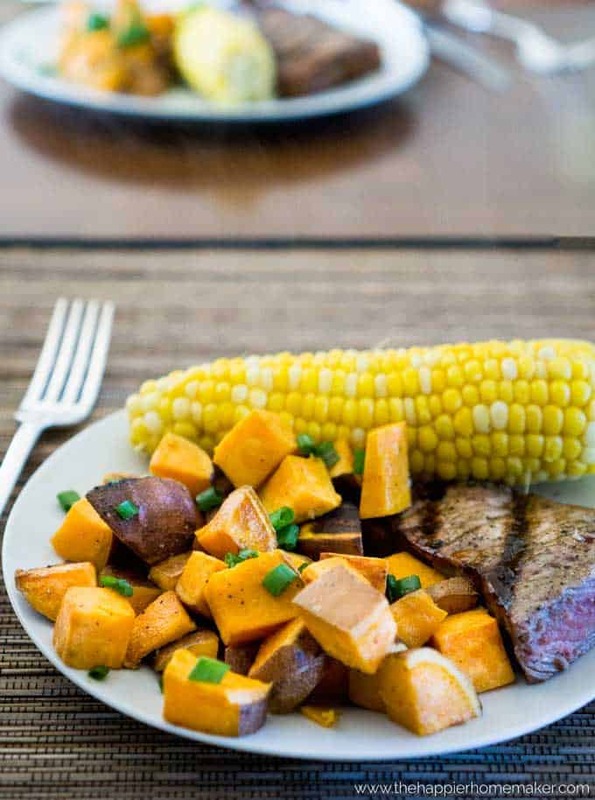 Would love to print this recipe but all I get is the ads that cover up the content.